Thanks to XXCrimsonXX in the forums for the heads-up! 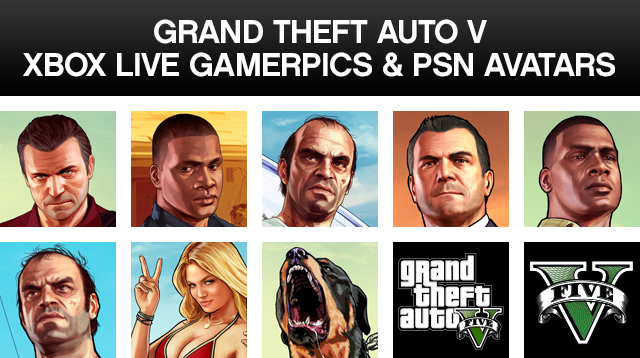 PlayStation Network users also have access to 10 GTA V avatars (images) via the PS Store under Grand Theft Auto V. They cost $0.49 / £0.21 / €0.25 each at this time. 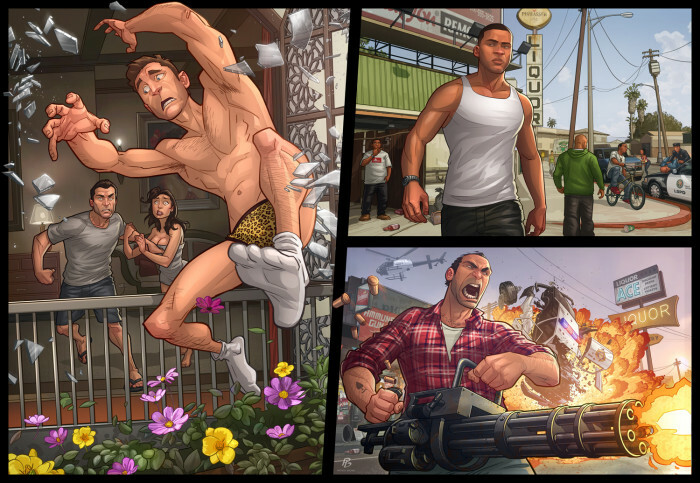 Check out his other artworks from various games and movies at PatrickBrownArt.com. If you have fan art of your own, feel free to submit it to us and join the chat in the GTA 5 forums! For anyone that didn't see these avatars a week ago, check again. They should be available almost everywhere now. Avatars are... Lets face it, quite useless. 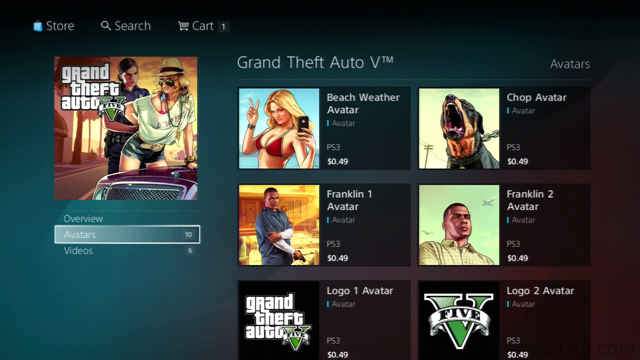 It would be better if they had made something like a GTA V dashboard theme or Gamerpics, like they did with Playstation. Well, I'm in nice artwork. About time. 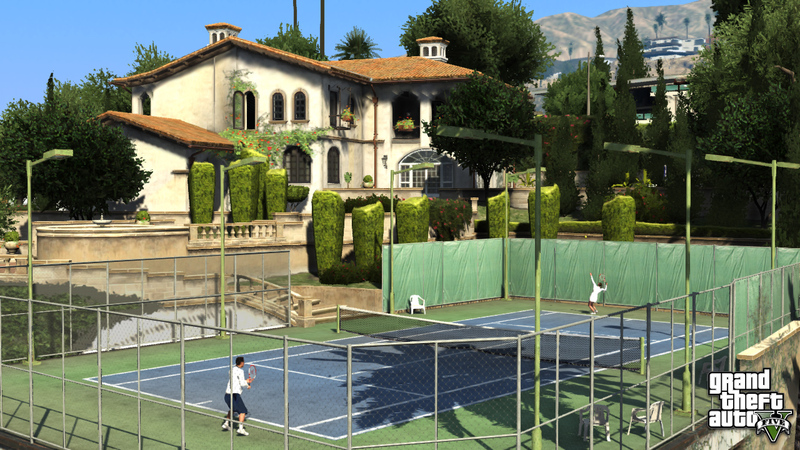 On your PS3, look for Grand Theft Auto V (search or browse for it). The avatars are the second section as shown in the screenshot above. 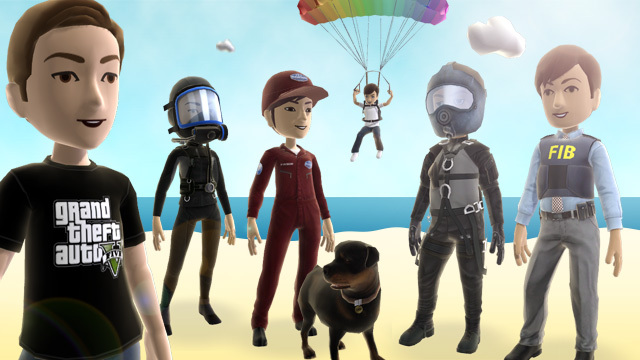 I can't find the avatars on the PS store. ? ?